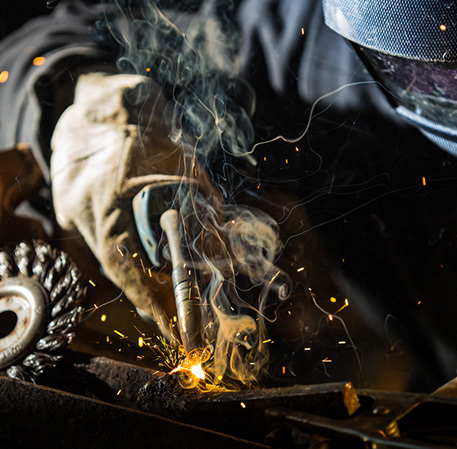 Welding Fumes and The Harm They Cause - Klean Environmental Air, Inc. The dangers of welding fumes are fairly obvious. However, there are still plenty of hazards that could easily have been avoided as a result of them. Sometimes this is because of a blatant disregard for what is known to be dangerous and others it is because of a slip of the brain. These are both things that happen on a regular basis and even by people who are very skilled and attentive. So, what can be done to ensure that your employees are in the safest environment possible? While it might seem like these are things that cannot be avoided, they can be remedied along the way. There are always options that can make it a little easier to have a safe work place. Whether you are just near an area designated for welding or actually welding yourself, there is a need for safety. You want to make sure that you are wearing the needed protection if you are even in the vicinity. Sometimes just being close means that you are closer than you should be, without realizing it. Welding fumes aren’t something you can see and be aware of. You might smell it when you are close, but usually that means that you are too close and aren’t protected enough. Sometimes, something as simple as making sure the work environment is safe is all the difference needed. This means having strategically placed masks and helmets or filters in welding areas. This makes the environment that much safer by providing options when they are needed. In the event someone forgets safety gear they need, you want to make sure it is available when they finally do get around to it. Better late than never! Sometimes an awareness of your surroundings is all that is needed to prevent an accident. If you are aware of what is going on around you, it makes that much easier to stay out of danger. And that is the key. While there are so many accidents that can be prevented with the proper protection and in the right environment, there is just as much weight placed on awareness. There are always ways to improve the workplace and safety. However, welding fumes are not easy to prepare for. One way that you can ensure that the air is one less concern is to install filters that can clean the air that is flowing through. In an industrial enviornment, you can’t just use any filter. You will need something that is stronger than anything used in a home. This is the reason you want to start your search with filters that are made especially for commercial fumes. Taking a chance with these fumes is something that can land you in the hospital, if it doesn’t cost you your life. It is worth the time it takes to research a little and ask a few questions. Our friendly staff will ensure you will be happy you did! For more information about welding fumes, you can read this article by the CDC.